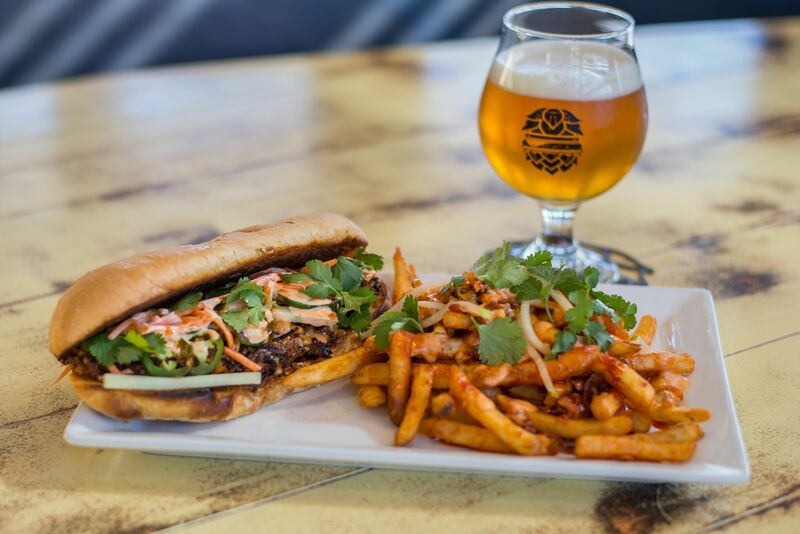 This week our special of the week is the Pulled Pork Banh Mi by Chef Jon Kiesling. A hoagie bun stuffed with Korean BBQ Pulled Pork, pepper jack cheese, cucumbers, cilantro, and carrots. With kimchi fries as the perfect side! We suggest pairing this sandwich with either a Alt or Amber Beer. Make your stomach happy this week by biting into this sandwich!